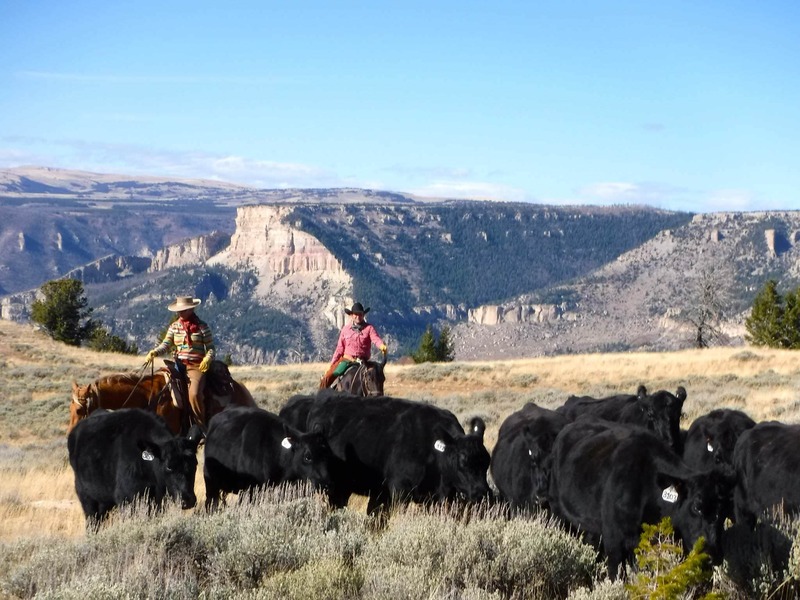 This family run working cattle ranch is about an hour’s drive east from Cody “the rodeo capital of the world” and two hours east of Yellowstone National Park. 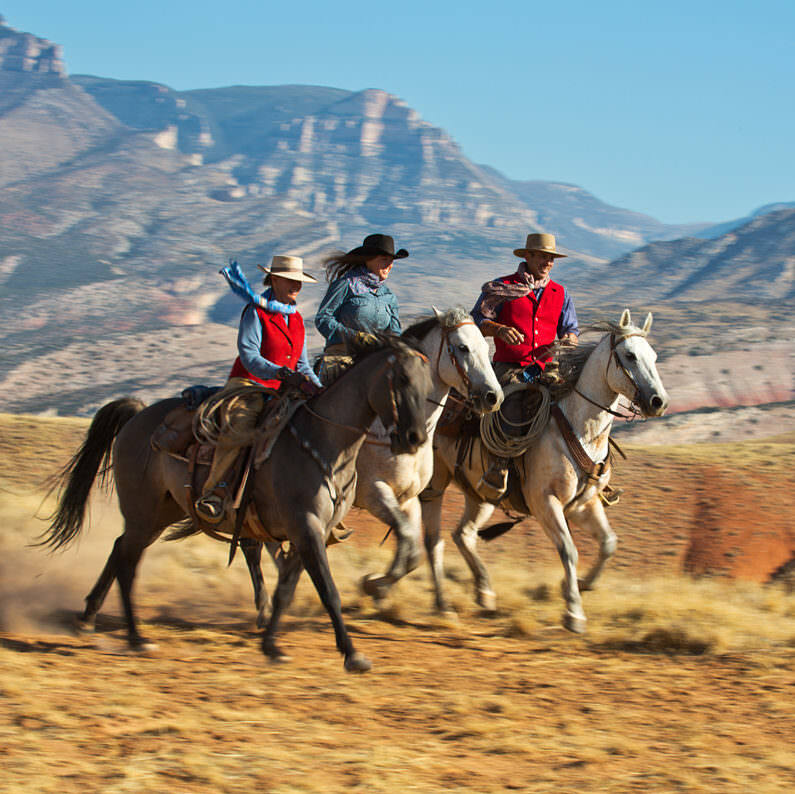 The Hideout Ranch lies in a high desert valley at 1,280 metres surrounded by the Big Horn Mountains. 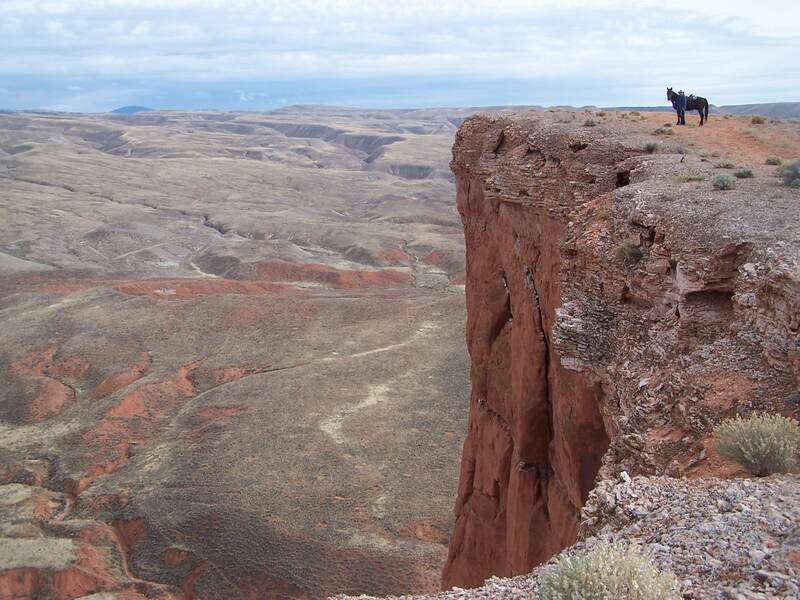 The landscape has changed little since the first cowboys settled here. 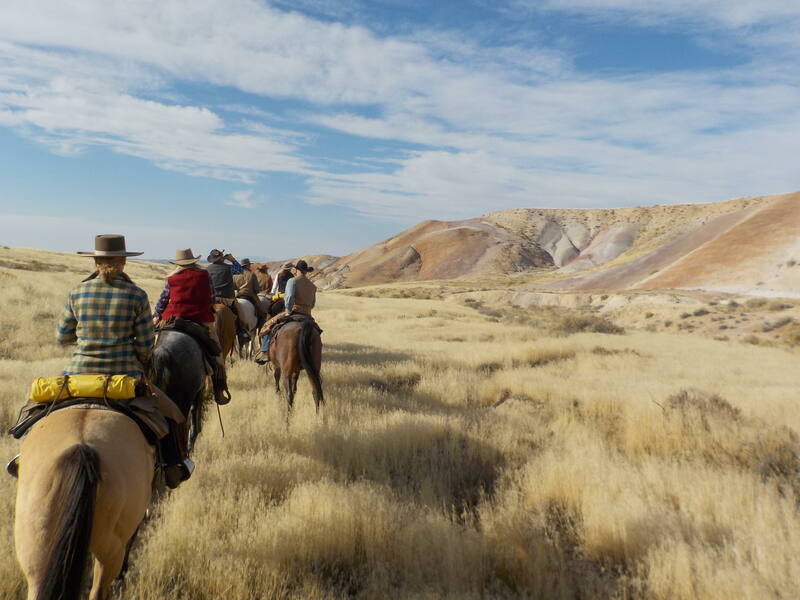 On horseback you can explore the rocky canyons and wide-open range of sagebrush and cactus where dinosaur fossils have been discovered. 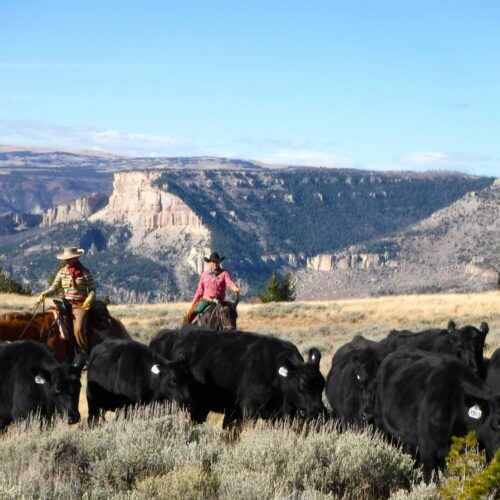 There is also the opportunity to partake in cattle work whilst at the ranch, this could be cattle drives or cattle games such as team penning. Children over the age of eight years old are welcome. 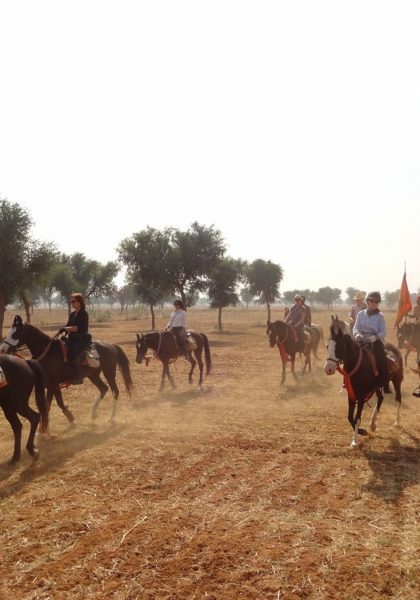 There is no separate ‘kids club’ which means that parents will partake in all activities with their children. 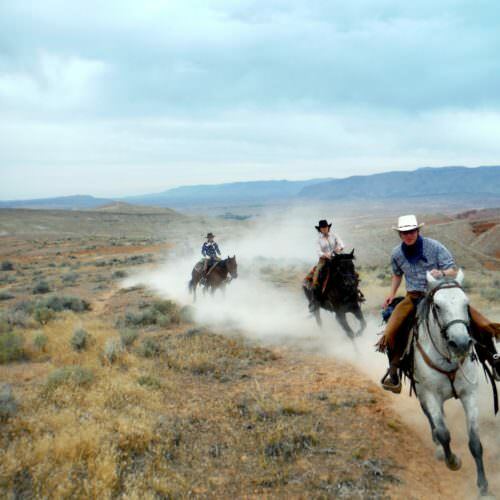 At The Hideout Lodge there are many other activities available for when you do not wish to ride. 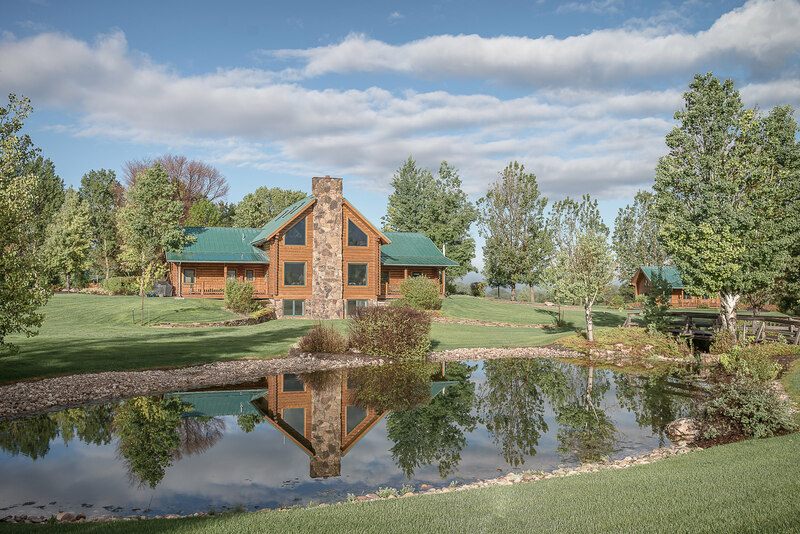 The fly-fishing in this area is excellent and suitable for everyone; from those who have never tried to experts with all equipment provided. 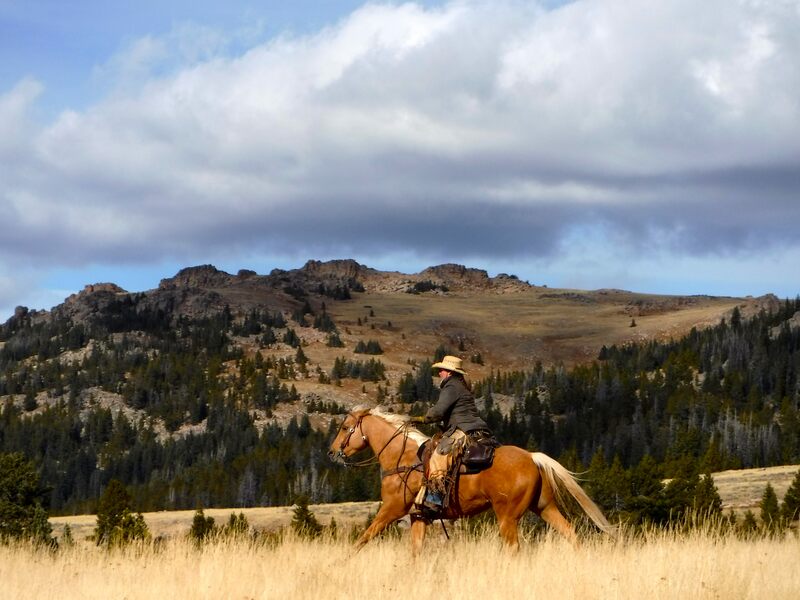 It is possible to combine fishing with riding on a day ride to a pristine mountain stream to go fishing and then prepare your catch for lunch over a fire. 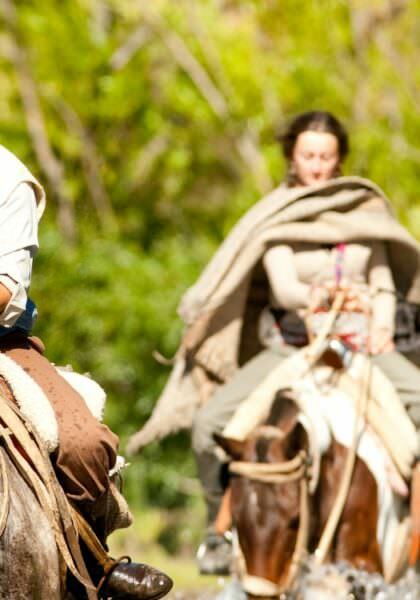 Trapshooting, 4×4 mountain tours, excellent hiking and biking routes, canoeing and archery are among some of the other activities to enjoy when you are not riding. During rodeo season 1st June to 31st August there is the possibility once a week to visit an evening rodeo in Cody (extra cost). The Hideout also has a hot tub that you can relax in after a long days riding. 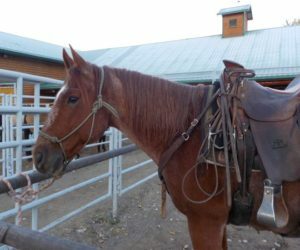 The herd of horses at The Hideout is comprised mainly of well-bred Quarter horses, Paint horses, Mustangs and trail horses. 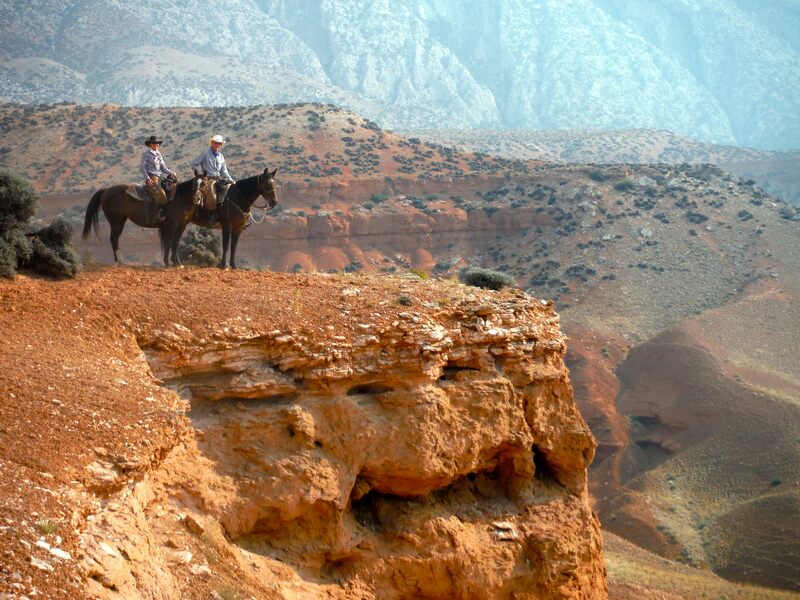 All the horses are ridden in Western bridles and saddles and are trained using natural horsemanship. The Hideout caters for all riding abilities from novices to experienced riders. 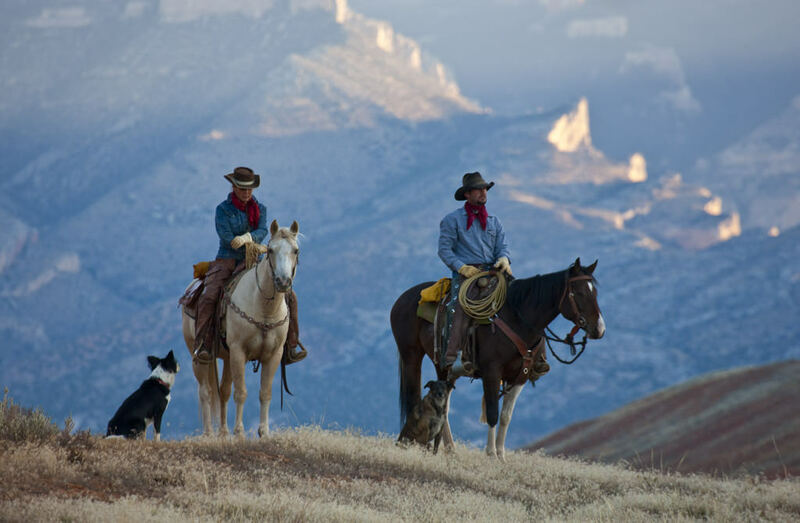 With the choice of over 90 horses you can be sure the right match can be found. 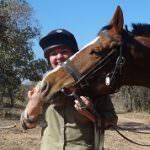 Novice riders can enjoy a mixture of lessons and trail rides on a selection of horses that are ideally suited to less experienced riders. 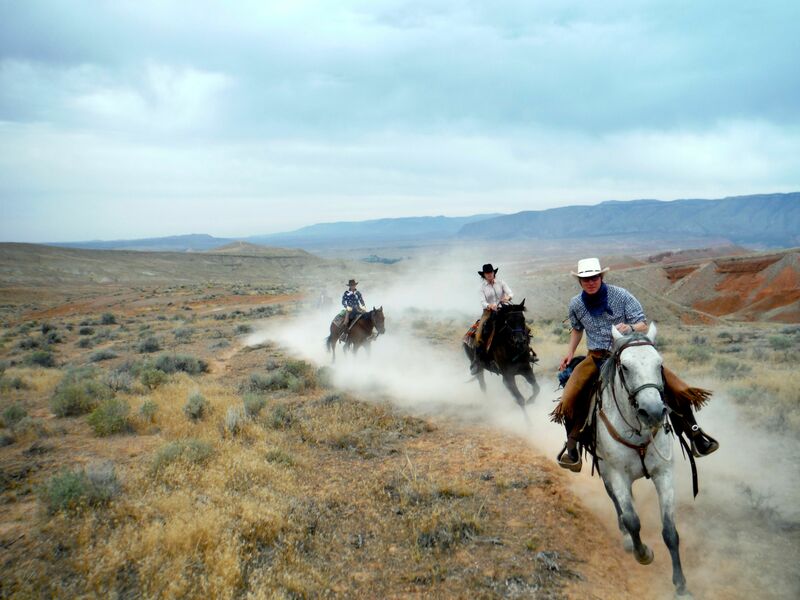 For experienced riders more challenging rides are available with speed being dictated by the terrain. 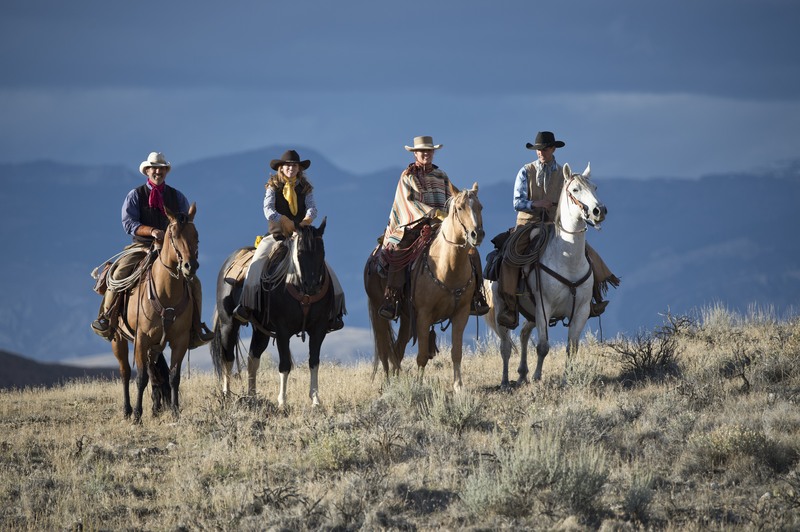 Cattle work can be enjoyed by all abilities, with novice riders helping to keep the herd together while more experienced riders assist the wranglers to round up strays or other cattle and move them to join the herd. Some seasons see more cattle work so please ask us if this is something you are particularly interested in. 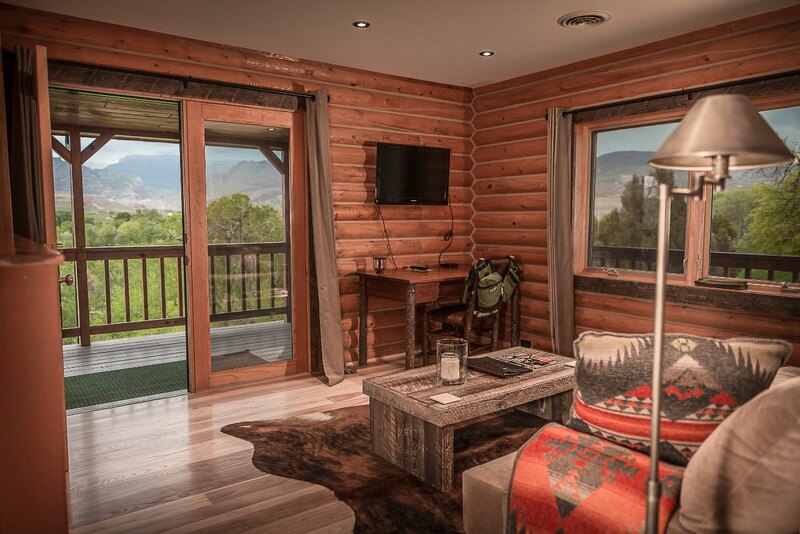 The Hideout accommodation is modern, comfortable and spacious with a selection of cabins, casitas and even a private house to choose from. 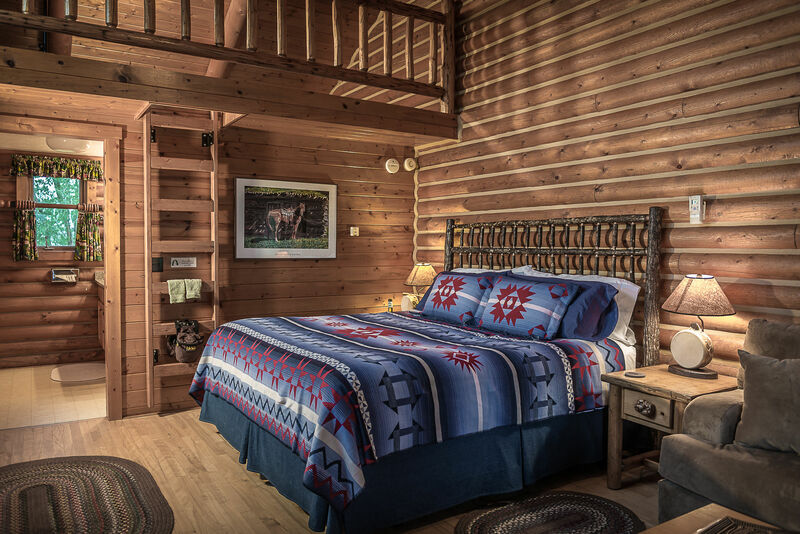 All rooms have wifi, cable tv and air conditioning. 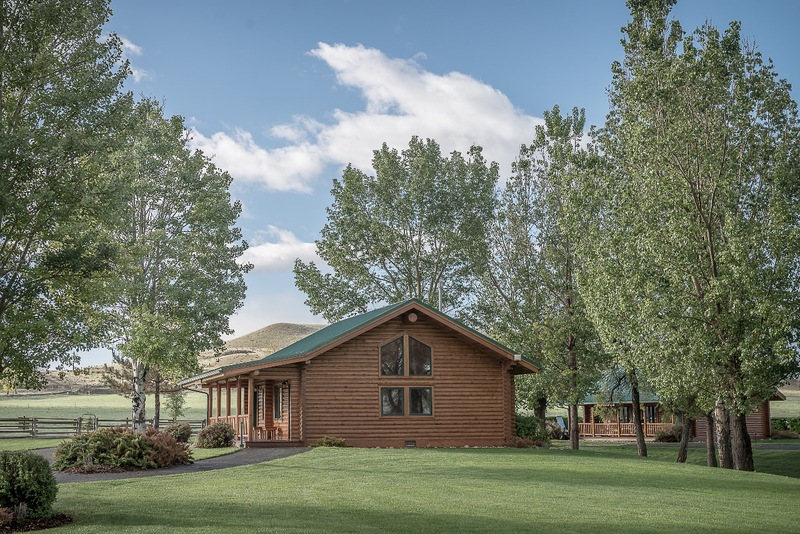 Cabins at The Hideout are located around large green lawns with well-lit pathways leading to the main lodge and the other cabins. 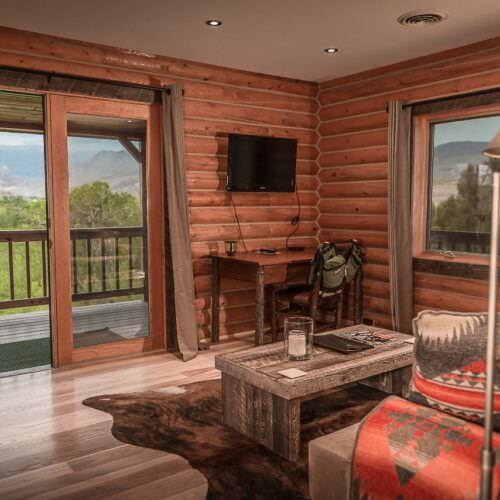 These come with either king or queen sized beds, en-suite bathroom with shower, coffee making facilities and a porch complete with rocking chairs and stunning views of Shell Canyon. 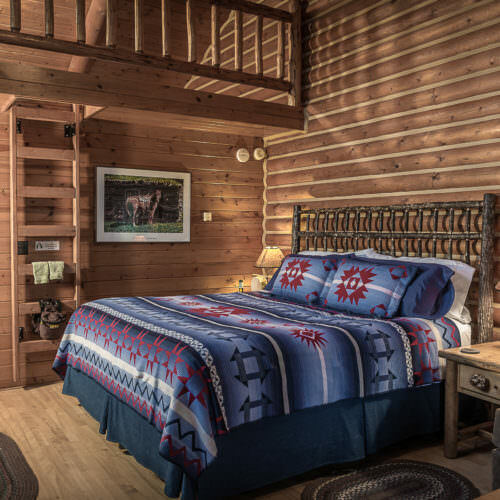 Castitas at The Hideout are one or two bedroomed cabins which are located in a two story building. 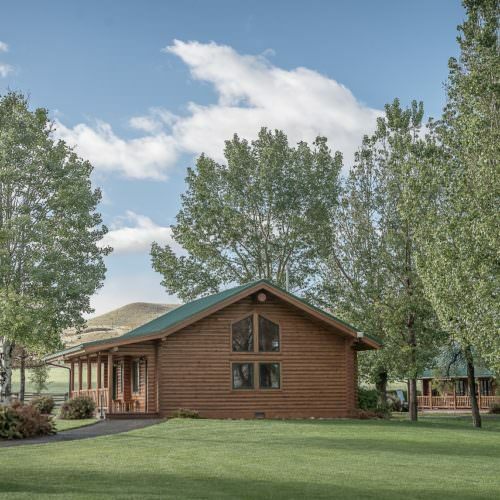 These are complete with king sized beds in the main bedrooms, modern bathroom with shower, washing machine and tumble dryer, coffee making facilities and a porch at the back of the building which overlooks the orchards and the Shell Canyon. 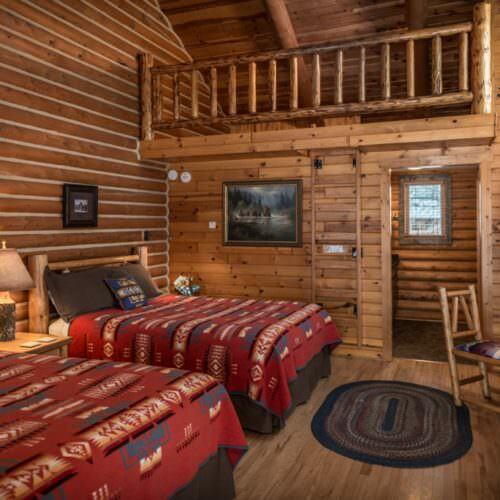 The Hideout Home is a log home with two master suites, large en-suite bathrooms with walk-in showers and private decks. 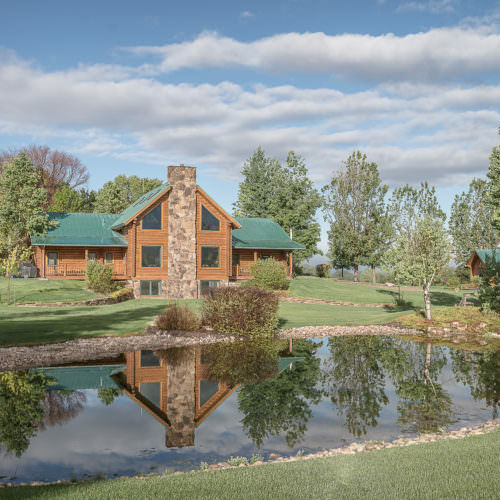 A fully equipped kitchen, open plan living room and fireplace can all be found in this luxury home. 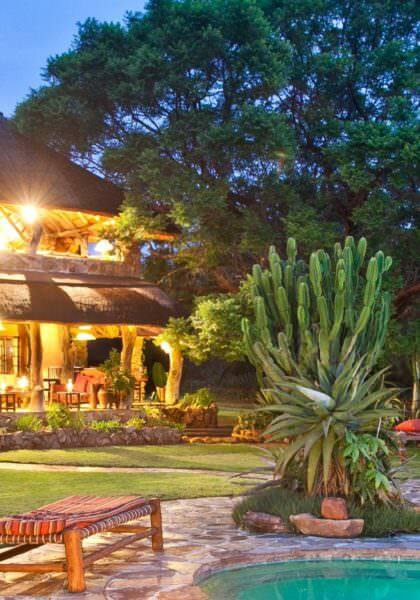 You can relax indoors on chilly evenings or out on the terrace around the beautiful firepit. 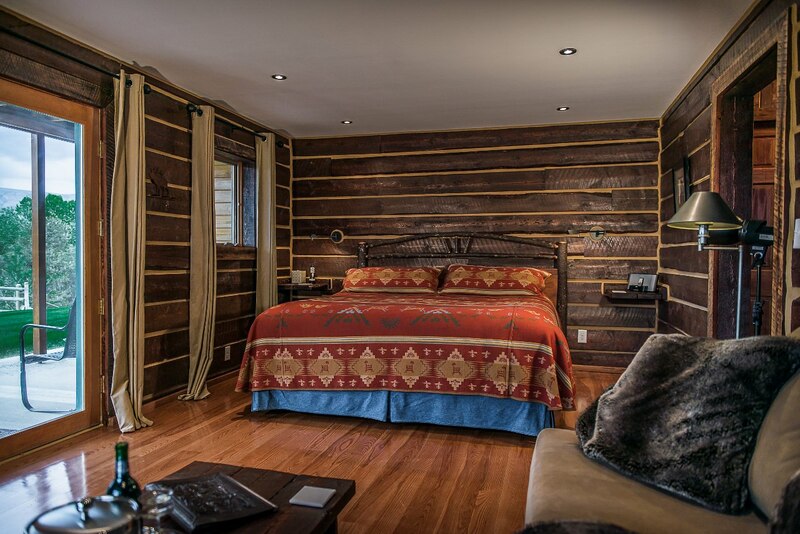 The Hideout Home also has a third spacious suite with private bathroom, flatscreen television and twin bedroom. 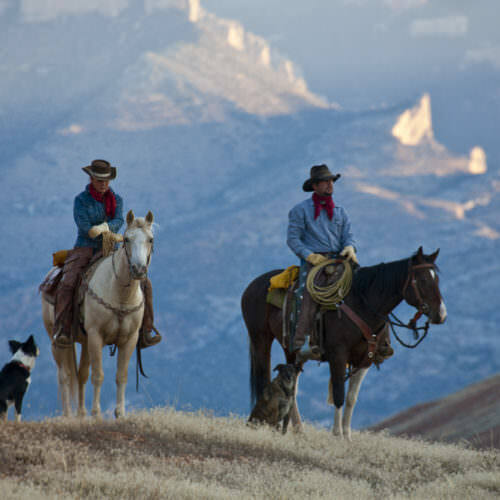 The normal ranch stay is six nights; arriving on Sunday departing the following Saturday after breakfast. 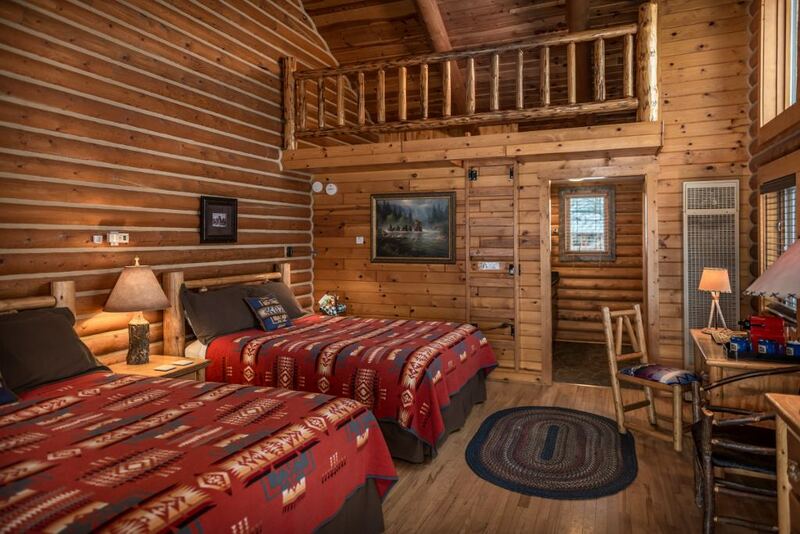 It is possible to stay for 13 nights with a half day ride on the middle Saturday. 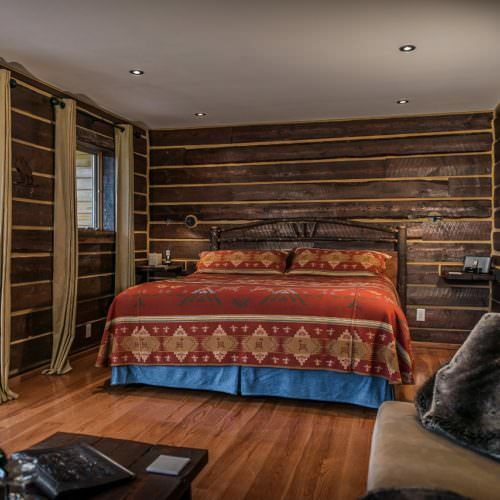 Four night stays are also possible subject to availability. Please ask us for details. SINGLE SUPPLEMENT Payable for single travellers. The supplement is £444.89. 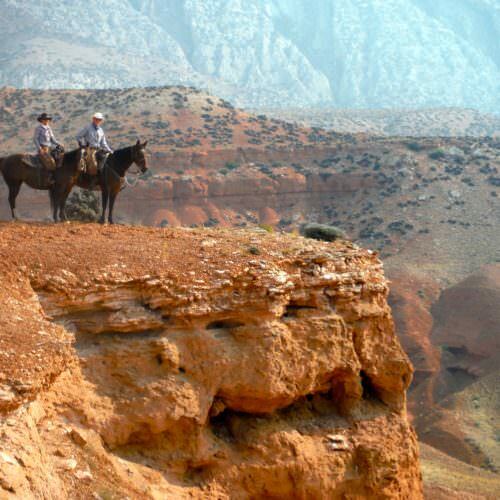 TRANSFERS from Cody Airport. The price is £117.32 return for the first person in the vehicle. For additional passengers the price is £78.22 return per person. 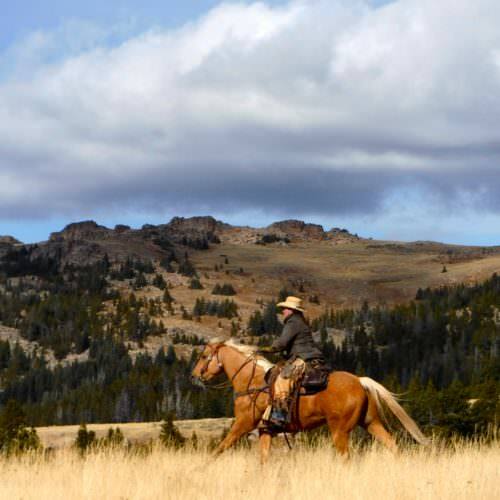 East of Yellowstone National Park. 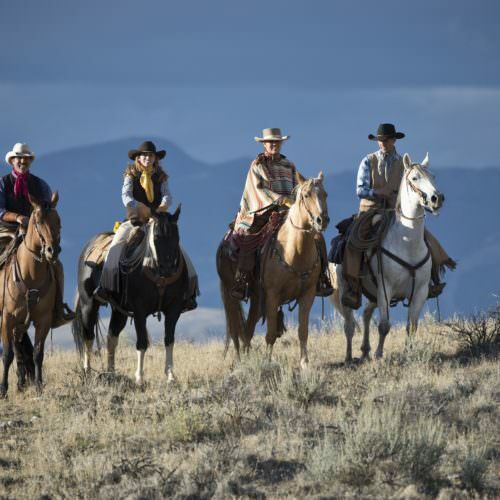 Wyoming has a semi dry continental climate and summer from May to September is the best time to visit. The warmest month is July with an average maximum temperature of 28°C. The sunniest months are June, July and August with on average ten hours of bright sunshine per day. Although the sunny days far outnumber the cloudy days, you may expect it to cool off during storms. If a mountain storm comes up it can turn a very warm summer day cold and rainy in a very short time. 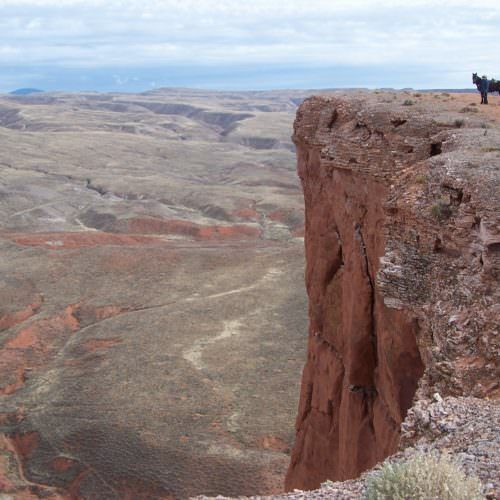 It can often be hot and windy in mid-summer due to the open expanses of grassland. 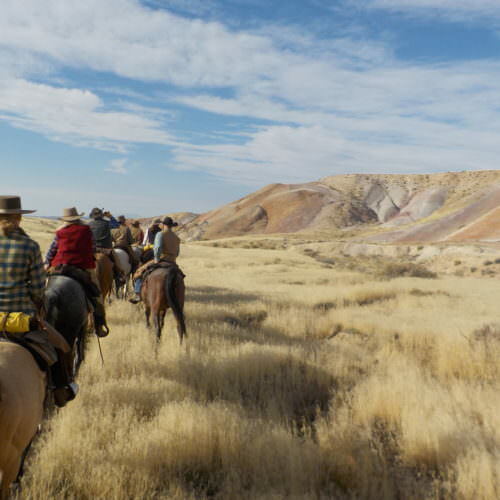 The wranglers were excellent and provided daily rides for all abilities. Nothing was too much trouble. 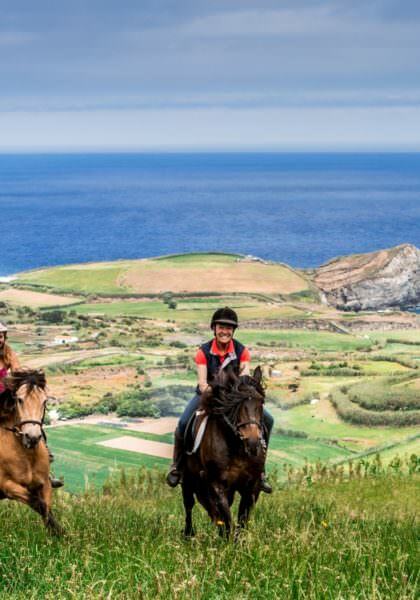 Stunning scenery with great riding for everyone makes this the perfect choice for mixed ability groups. The weather in the mountains can be unpredictable and storms can sweep through at any time so don't forget your waterproof!